When considering new ways to innovate your hotel’s offerings, try to shift into the mindset of ‘experience over things’. Your hotel shouldn’t just represent accommodations, but also a truly memorable experience for each guest. An extreme example of this approach can be seen with Peru’s Skylodge Adventure Suites; a boutique hotel offering ‘transparent luxury capsule’ rooms which hang off the side of a mountain. Accessing these rooms, in fact, involves climbing up a few hundred feet or zip lining, if that’s more your speed. Each room is about 24 feet long and 8 feet wide with enough room for four beds and is crafted out of aerospace aluminum and weather resistant polycarbonate. 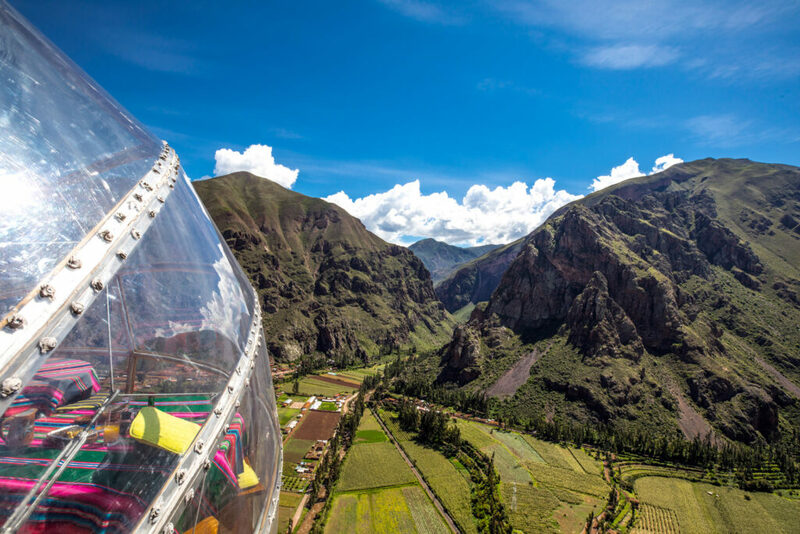 As the capsule is completely transparent (with the exception of a private bathroom), guests are treated with a 300-degree view of the Urubamba Valley. Not surprisingly, this experience comes at a price, with each room coming at a $1,000/night fee. While the Skylodge is, of course, an extreme example, it still showcases the value that is associated with a unique experience. The Skylodge represents a hotel which, despite its price, is constantly booked solid months in advance, with guests eager to get a taste of the experience they’ve seen plastered across Instagram and media outlets. This can be achieved on a much smaller scale of course — the question just becomes, how can your hotel offer an experience, not just a room? This could involve the rooms, your hotel’s partnerships, food, art, interactive experiences and more.